Paddy Power is an online casino that is growing in popularity more and more among UK players. It offers top-notch games that are powered by the prominent software provider Playtech. Thanks to it, players have the chance to get an extremely entertaining gaming experience and enjoy a number of famous casino games online. The rich library of high-quality online games is not the only thing that attracts players as the online casino also offers a number of regular promotions and exclusive deals. 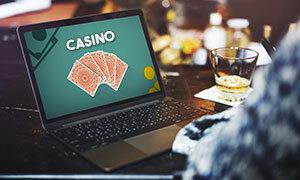 The first priority of the online casino is to manage to live up to its players’ expectations and provide them with a seamless online experience. It has something for every taste, no matter whether players prefer card games, slots or video poker they will be able to find the best for them casino game at Paddy Power. Furthermore, on the casino’s website they can read some useful tips which can help them improve their strategy and thus, have better chances of winning. For instance, in a game of skills such as Blackjack it is crucial to have the needed knowledge and be as prepared for the possible outcomes of every hand. The online casino is a fully licensed one which is a clear indicator that it has proven to provide fair online games. Whenever players play a favourite casino game at Paddy Power, they can be sure that they will be able to get extremely entertained as if they were in a land-based casino. The online casino protects its customers’ data greatly by using firewalls and other advance security systems. Players can make a minimum deposit of £5. The minimum amount they can withdraw is either £5 or their remaining account balance. 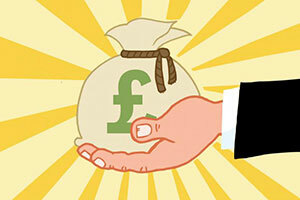 The online casino offers its players a £10 no deposit bonus. It is extremely risk-free to join Paddy Power and play some of the best casino games online. The bonus is exclusive and it is valid for new players only. It cannot be withdrawn and the wagering requirements that apply are 40x the bonus amount. However, in most cases no deposit bonuses are available for a limited period of time and thus, players should always consider their set time in order to make sure they won’t miss the chance to opt in. The online casino has some regular promotions that also apply for a certain period of time. 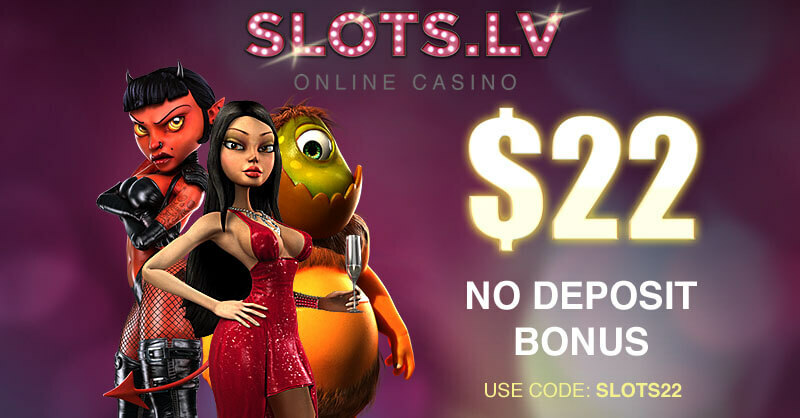 These deals are exclusive and change with time and thus, it is best to visit the casino’s website for the latest available bonuses. The Loyalty Programme the online casino offers is called Paddy Power Casino Club. 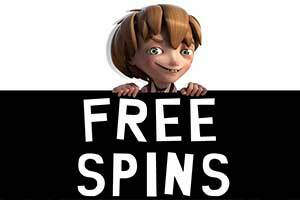 It rewards its players with free Casino Club points which they can redeem for real cash whenever they wish. The Loyalty Programme can be summed up in three simple steps. Firstly, players have to play a favourite online casino game as this is the way they collect such special points. Secondly, they have to climb the so-called loyalty ladder which enables them to get even better rewards. And finally, they can exchange their points for cash. Every time players bet £10, they get 1 loyalty point. Paddy Power has entrusted its online business to the leading software provider Playtech. Players have the chance to win big by playing a number of progressive jackpots such as Gladiator Jackpot, Beach Life, Man of Steel, Superman 2, Age of the Gods, Diamond Valley, MegaJacks, Jackpot Giant and others. They can also play some modern and popular jackpots such as Iron Man, X-Men, Dare Devil, Wolverine, Spider-Man and others. The online casino offers Slots, Roulette, Blackjack, Video Poker, Jackpots, Card and Table Games, Scratch Games and Live Dealer Games. All of the games have been conveniently separated into different categories so that players can find their favourite game in an instant. Paddy Power offers the following live dealer games – Live Roulette, Live Baccarat, Live Blackjack and Live Casino Hold Em. Players can be sure that they will be able to get an extremely authentic feeling of these casino classics due to the fact that they are hosted by well-presented live dealers in real time. 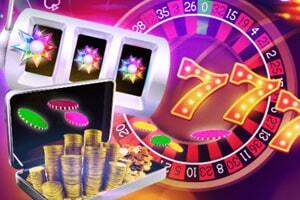 The live casino games can be played on iPhone, iPad or Android devices. 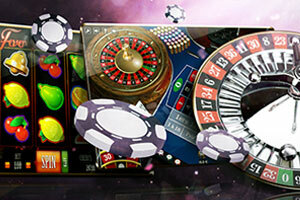 The available Mobile Casino allows avid players to enjoy their favourite online games on the move. They can also download an application from the Apple Store in order to assure that the online games will run smoothly. Whether players have an Android or iOS device or Windows Phones they will be able to enjoy the high-quality online games Paddy Power offers. Paddy Power offers a number of reliable payment methods thanks to which players have the chance to make deposits instantly and securely. Some of them are Debit and Credit cards, PayPal, Skrill, Bank Transfer, Paysafecard, Neteller and others. Presently, players can open an account in either GBP or EUR. English is the only available language that the online casino supports. Players can contact a customer support representative via phone, live chat and email. The online casino recommends the live chat feature as the quickest option of all. UK players can a make call on 08000 565 275. International gamblers can reach a customer support agent by dialling 00353 1 9050131. The call centre operates 24/7. Paddy Power has licences issued by the Alderney Gambling Control Commission and by the UK Gambling Commission. Paddy Power Casino is a wonderful gambling destination for players who have decided to switch from land-based casinos to virtual ones. This casino operator strives to provide its numerous customers with a top-notch gambling experience which becomes evident from its really extensive collection of first-class titles. Its portfolio comprises games that are developed by Playtech that remains one of the biggest names in the iGaming world. Players who have chosen Paddy Power Casino for their adventure in the gambling world are provided with a wealth of games that feature exquisite animations and graphics which will make you immerse yourself in the gameplay. What will make your gambling experience even more exciting and thrilling is the variety of the themes. Not to mention the fact that a large number of the games on offer come with numerous additional features that will also greatly contribute to the unforgettable online gaming. Paddy Power Casino is among the online gambling destinations in which there is something for both seasoned players and casino novices. The variety of the games is really impressive as gambling enthusiasts can choose between an abundance of slots, classic casino games such as roulette and blackjack, video poker variations, live-dealer games and last but not least numerous games that come with some really impressive progressive jackpots. Slot fans are definitely in for a treat at Paddy Power Casino considering the fact that they are provided with so many options to choose from. Players who get a real kick out of slots will be delighted to find out that the variety of the themes is really great. Considering the fact that namely Playtech is responsible for the gaming collection of the casino, it is anything but surprising that players will have the unique opportunity to give a try some of the best slot titles available out there. Perhaps, many of you will be happy to hear that the casino operator offers numerous classic slot games. Players will stumble upon titles such as Fruit Mania and Funky Fruit Farm that are inspired by the fruit machines. Even though such games do not feature so impressive graphics, many gamblers prefer them because of the advantageous payoffs they offer. At Paddy Power Casino, there are also numerous more advanced slot tiles that will definitely grab your attention with their extremely vivid graphics and compelling sound effects. There are titles such as Da Vinci’s Vault, the Mummy, Heart of the Jungle that will definitely grab your attention with their exquisite animations. Paddy Power Casino also gives its customers the chance to enjoy titles from the Age of the Gods series that can bring players some really imposing progressive jackpots. If you are an avid casino fan, you have probably played roulette at least once. In fact, roulette is definitely among the classic casino games that can be found in every decent casino. As roulette is one of the most enticing casino offerings, it is only natural that Paddy Power Casino provides its customers with such a nice variety of roulette games. The casino operator has prepared a wide array of versions of the classic game that will undoubtedly impress you with their slick design. 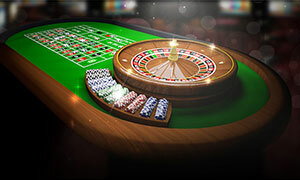 Players will find roulette games such as European Roulette, Premium European Roulette, 3D Roulette, and Premium French Roulette. There is also Diamond Bet Roulette that has turned into a real hit among casino fans. What adds the unique sparkle of the game is the additional bet that can bring players some really impressive wins. Age of the Gods Roulette is also among the options players have. This particular roulette variant can bring gamblers some really hefty prizes as the game comes with four progressive jackpots that accumulate at quite a fast pace. Still, if you do not want to risk too much money, then, you should definitely give Penny Roulette a try. Paddy Power Casino has prepared something for real blackjack fans as well. 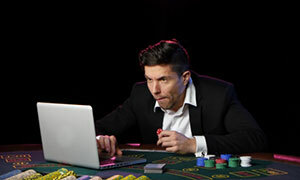 The interactive casino gives its customers the chance to choose between several options so that they could enjoy a really unparallelled gambling experience. Each of the blackjack variants that are on offer at the interactive casino will impress you with their design. In fact, the tables are crafted with great attention to details as they strikingly resemble the ones that can be found at land-based casinos. When you open an account at Paddy Power Casino, you will have the chance to pick the blackjack game that best fits your taste. Patrons of the casino will find variants of the classic casino game such as Premium Blackjack Single Hand that comes with some really impressive payouts. There is also Blackjack Surrender in which you can give up your hand when you consider it unfavourable. 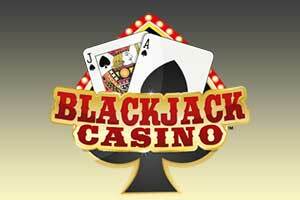 The options are not limited solely to these games as there are also 21 Duel Blackjack, Pontoon, and Lucky Lucky Blackjack. The latter gives players the chance to walk away with a hefty prize thanks to the bonus bet that can be placed. Still, if you want to try something more exciting, you should definitely give Perfect Blackjack a try as it comes with numerous additional bets that greatly contributes to the first-class gaming experience. There are also titles such as Blackjack Switch and Double Attack Blackjack you may also like. Paddy Power Casino offers something for casino enthusiasts who revel in playing video poker as well. The virtual casino is a wonderful gambling destination for video poker fans who will have the chance to pick from some of the most common variants of the game that are developed by Playtech. Deuces Wild Multi-hand ranks among the most well-liked video poker games that can also be found at Paddy Power Casino. This particular variant gives players the opportunity to play up to 25 hands at a time and enables you to win in numerous ways. In 4-Line Deuces Wild, the approach to the classic video poker game is slightly different as gamblers can use four different decks for each of the paylines. Jacks or Better, which is among the very first video poker games, is also among the options gamblers have. The game is available in 4-lines, 10-lines and in multi-hand variants. Jackpot Poker is also among the titles that constitute the interactive casino’s portfolio. The game remains among the most preferred video poker variants due to the fact that it gives you the chance to pocket a really nice prize. Being among Paddy Power Casino’s patrons, you will also be allowed to enjoy video poker variants such as Mega Jacks, Tens or Better, and Caribbean Stud Poker. Paddy Power Casino puts lots of efforts in order to make sure that its patrons will enjoy a more rewarding gambling experience. The casino operator has devoted a whole section to games that feature progressive jackpots which is definitely good news for gambling enthusiasts who want to win big. In this section, players will find numerous slot tiles, video poker games as well as several roulette versions. In this category, gamblers will come across titles from The Age of the Gods series that have become real fan-favourites. 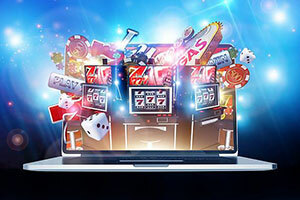 In fact, the series is part of Playtech’s progressive network which connects casinos that use the platform, meaning that the progressive jackpots of these games will increase really fast. Players will stumble upon several titles from the collection that include Ruler of the Sky, Goddess of Wisdom, Fate Sisters, God of Storms and King of Olympus. It should also be noted that players can also give The Age of the Gods Roulette a try as it can bring them some impressive wins. There are also titles such as Gladiator, Jackpot Giant, and Frankie Dettori’s Magic Seven Jackpots that also rank among Playtech’s flagships. If you prefer placing your bets over the Internet but you still want to have the feeling that you are wagering in a land-based gambling venue, Paddy Power Casino has something for you. The collection of the live-dealer games serves as a proof that the casino operator has put lots of efforts in order to provide its customers with as authentic gambling experience as possible. In this section, players will find classic games such as blackjack and roulette in which the tables are operated by experienced croupiers which guarantees that you will enjoy a second-to-none online betting. All the games that can be found in this category feature an extremely high quality of the streaming which also greatly contributes to the authentic feeling you will get. If you want to try something different than roulette and blackjack, then, you need to know that Paddy Power Casino also offers Live Hi-Lo. Considering the fact that Playtech is the software supplier, you can be sure that you will always be granted a really entertaining experience no matter which option you will go for. Is it possible for players to check their financial history? Yes, it is. Players have the chance to have a look at their financial history by clicking on the section entitled My Account. In order to find it, they have to be logged in into their profile. This way, they will be able to keep track of their funds and manage their money better. How can players deposit money into their casino account? Players can make deposits very easily by using a number of payment methods. After they have chosen the most convenient for them payment solution, all they have to do is to simply log in into their profile and click on the deposit button. Depending on the chosen payment option, the payment procedure and time vary. Can players withdraw money without being charged? The charges that may apply when withdrawing money, are determined by the particular payment method. When players withdraw money by using UK MasterCard or VISA, they won’t be charged for this service. The processing time of transferring funds varies but it is usually from 2 to 3 working days. How can players be sure that the online games are fair? Paddy Power is a reliable online casino that doesn’t spare any effort and time when it comes to ensuring its online games are indeed randomly generated. A number of test procedures have been conducted before the online games are released. An independent and proficient software auditor makes sure that the online games at Paddy Power are truly random and fair and that their outcome cannot be predicted in any way. Therefore, players can rest assured that all of games on the casino’s website have proven to be robust and fair. I opened this casino because I saw they offered a free £10 no-deposit bonus. When I registered, I received the bonus – it had 40 times wagering requirement and winnings were capped at £25. I tried to meet the requirement, but it was impossible, at least for me. A week later I returned with the intention to deposit – the casino gave me a 100% match on my deposit and I had £100 to play with. This time I successfully met the wagering requirement by playing slots and won £26, which wasn’t bad at all, I think. 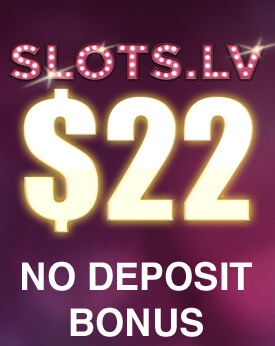 I’m still eligible for the bonuses given for the second and the third deposit, so I plan on investing a little more in this casino. So far, the site looks amazing, the games run smoothly, and the depositing was very easy, so my experience here has been more than satisfactory. Although it’s Irish, Paddy Power has become one of the largest betting companies in the UK, so I registered at their online casino, thinking it’s safe and reliable enough. I was right – the casino is absolutely legitimate and safe, it always pays out my winnings even when they are some insignificant sums of £20. The website is neat and simply laid out, although it’s a bit old-fashioned and could use a serious update of the design. I’m impressed with the customer support staff – these people are always polite, helpful, and are very well trained. The casino offers slots, blackjack, poker and other table games. There are also scratch cards, video poker games, and even a live casino, where you can play blackjack, roulette, or baccarat. Overall, it’s a very good casino with a nice range of games. This is one of my favourite online casinos, although it’s far from perfect. Most people prefer playing at other websites because, in terms of sheer numbers, the games here are fewer – there are around 100 slots and less than 20 table games. However, these games are mostly from Playtech, which means that I can play all my favourites here – Gladiator, Green Lantern, Man of Steel, and the Age of the Gods slots. 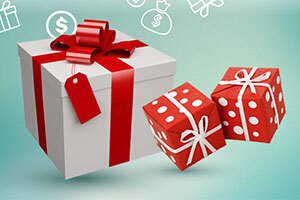 The casino offers great bonuses to new players, as well as a lot of other promotions for regular customers. My deposit is transferred almost immediately from my credit card and when it comes to withdrawals, my winnings are always paid out within 3 to 5 days, which for me, is perfectly fine. It would be great if they add more games to the mobile casino, though. Paddy Power is mostly known for its sports betting operations, but I decided to try their casino and I’m glad I did because it turned out to be a fabulous place for playing online slots. I rarely bet real money on poker or blackjack, but here, the offerings are really nice. There are also several live dealer games for those who prefer betting against real croupiers, which is definitely not my thing. The casino is very good and easy to use, you can deposit via your credit card, a cheque, a PayPal account, or through several other e-wallets. The withdrawals are processed within a couple of hours, at least in my case, because I use Neteller. The customer service is excellent – very professional, friendly and fast young people, who are always eager to assist you. I have played several times at Paddy Power Casino and so far, my experience has been very positive and enjoyable. I’ve experienced no technical problems, so I’ve never contacted customer support. I just sent some documentation, so the casino can verify my identity and address, and then, process my withdrawal request. After I made my first deposit of £100, I received a 100 match bonus with a wagering requirement of 20 times, which was very nice. Usually, online casinos require the bonus amount to be wagered at least 30 or 40 times. I lost almost everything and just when I was really regretting coming in this casino in the first place, I won £400. So, I’m actually happy that I registered here, but I guess I need to be more careful when betting on slots in the future.